I spent the majority of the month October coordinating the Batumi Raptor Count in Georgia, but after my return to The Netherlands there were still a few nice days of migration counting to be enjoyed at De Vulkaan. Four days with fantastic conditions for seawatching. On the 23rd we counted 6 Leach’s Storm Petrels, on the 24th we counted 15 of them and on the 26th a whopping 29 Leach’s Storm Petrels. We saw 2 Great Northern Divers (1 on the 24th, the other on the 26th) and loads of other species to enjoy. By far the best sighting of these days, however, was one that I unfortunately had to miss: on the 25th, a relatively slow morning, the first ever migrating Cory’s Shearwater for The Netherlands was recorded. The bird would later on be seen at multiple count sites south of The Hague, where they managed to safe it from an otherwise obligatory identification as a Calonectric spec. A full report of what happened that day in The Hague and further south can be found on the Dutch Birding website (unfortunately in Dutch only). Calm weather and winds from the east as usual bring a nice variety of species to the our site. For some reason a large Diver made the decision to fly over land rather than over the sea, which unfortunately meant we had to look against the sun and could not identify it on species level. A single Pale-bellied Brent Goose was seen flying south in between impressive migration of almost 3000 Great Cormorants. Fairly early in the morning we started to see fairly strong migration of raptors, including a season’s first Rough-legged Buzzard, a Short-eared Owl and two Merlins. ﻿Over the city migration of Common Buzzards started picking up and we had counted dozens by the time I decided to leave. I figured that the day woud not produce anything of substance anymore (keep in mind I had just returned from Georgia where we counted a million raptors in 2 months). Usually the afternoons are very slow and rarely interesting, but this time I was wrong about that. 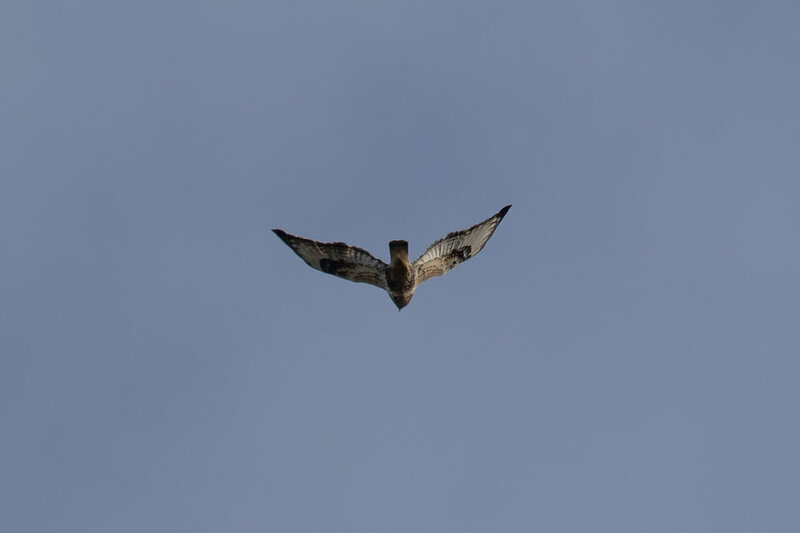 When I arrived home and had a look at the local Whatsapp groups, it was clear something else was going on: Common Buzzards were migrating through the region in unprecedented numbers. By the end of the day a whopping 363 Common Buzzards were counted at De Vulkaan, a massive improvement of our previous record of 225 birds. Surprisingly, this was the highest number of migrating birds counted in The Netherlands on that day, something that rarely happens at this coastal site so far in the west. An adult female Rough-legged Buzzard, which surprisingly came from the south, hence the record shot from this weird angle. From the moment the sun hit the horizon, a continuous stream of Common Gulls was seen far over the sea migrating south. There are few things I enjoy the challenge of as much as counting and identifying distant groups/streams of gulls, so this day had plenty to offer for me. By the end of the count we had amassed over 8000 Common Gulls, the 4th best day in The Netherlands. In between the gulls were great numbers of Alcids (mostly Guillemots) for October (640 of them) and Red-throated Divers (149), the latter of which is a new October record for the country. 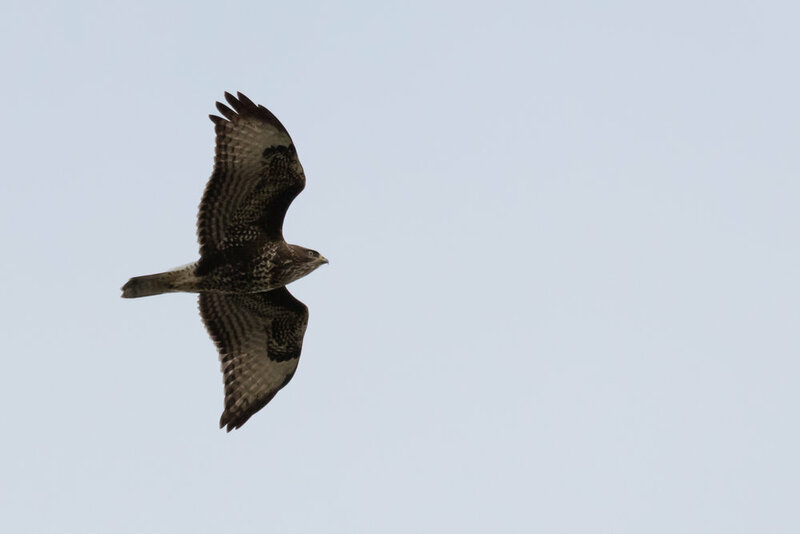 Like on the 28th, Buzzards were flying in good numbers and we counted 112 of the Common ones and were surprised to find 2 Rough-legged Buzzards going north. A late 1cy Marsh Harrier was a nice sighting as well. All of that would have made for a memorable day already, but this day had migration of Red Kites as well, a species only record on ~50 days at our site in decades of counting. For some reason Red Kites were migrating in full force across the western half and middle of the country this day. 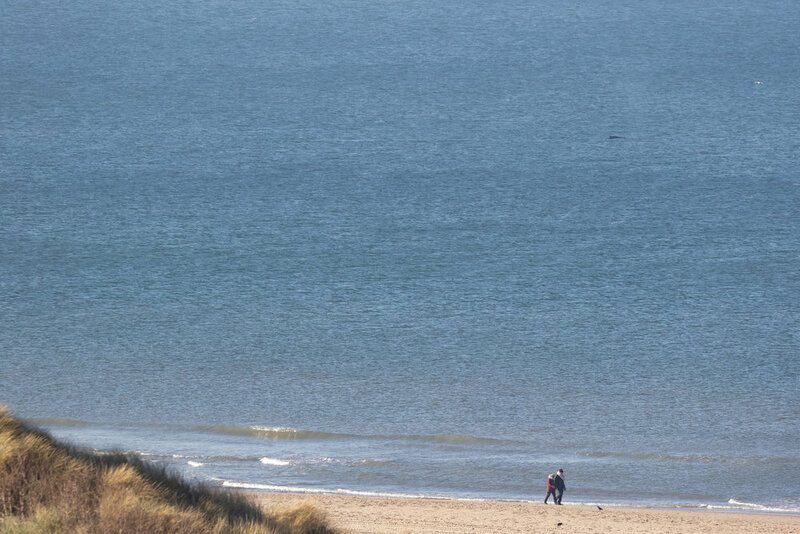 We tallied a whopping 15 Red Kites, truly unprecedented numbers for the Dutch coastal region, and could enjoy 9 of them flying in a single group. 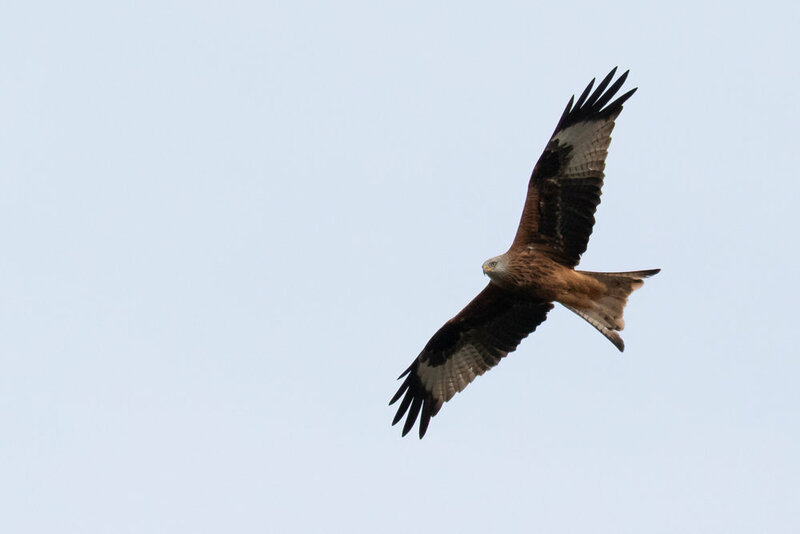 Our previous record was 6 Red Kites on March 18th, 1988. Adult Red Kite, the only bird which came close enough for a photo. And that concludes November 2018.